Week 3 - 1/25 - Don't forget clean dry shoes!!!! I hope your winter season got off to a good start last week. Balls drop for our second week tomorrow at 10:00 sharp. As always, getting there by 9:45 gets things off to the best possible start! There is some rain in the forecast. Please be sure your athletes have clean dry shoes for the gym. If you have any thoughts about the season, send me an email or make a comment on this blog. Here are tomorrow's field assignments. The season starts tomorrow... Sunday! 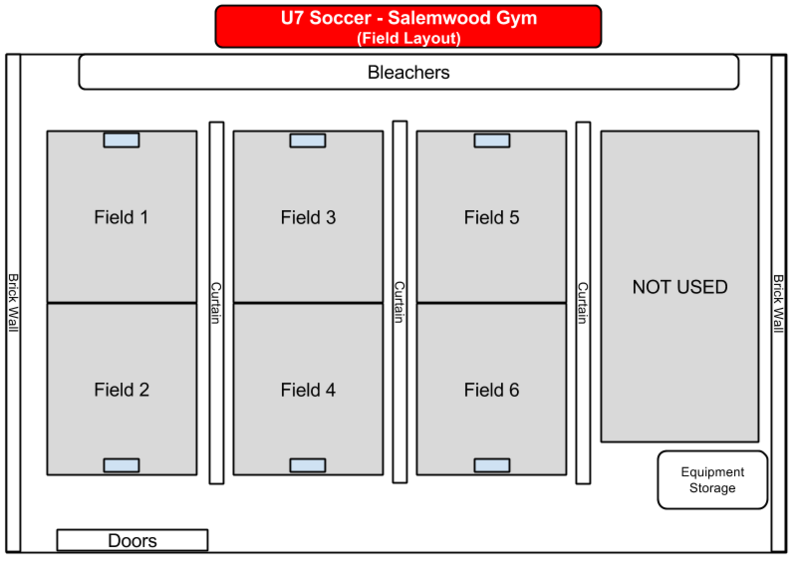 The first day is always a bit hectic, so please try to be at the field at least 15 minutes before the start... so please be at Salemwood School Gym by 9:45, if not earlier, to get your uniforms and to get situated. The gym is behind the school and there is a parking lot there with street parking in the neighborhood. Most importantly, please remember to have dry AND clean shoes for the gym tomorrow. We want to be respectful of the facility and keep the environment safe for all of our young athletes. Welcome to Winter Soccer 2015! Welcome to winter soccer for U7 for the Under 7 age group. You should have received an email with your child's team assignment. Contact the league if you do not receive it by the end of Sunday January 4. There are several things you need to know before the first day. This Blog will be the primary source for information, schedules, directions etc. Please bookmark it. 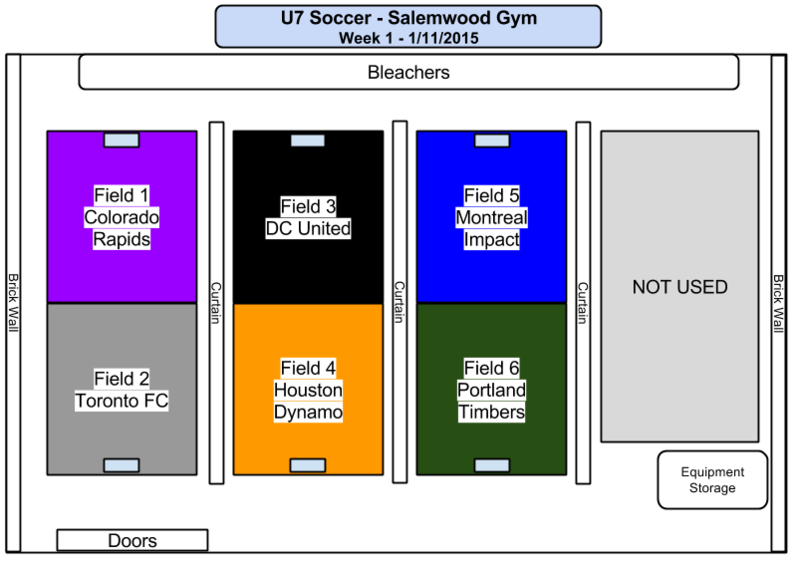 Feel free to use it and let us know what we can do to improve any aspect of U7 Soccer. Indoor, clean, dry sneakers. Sneakers must be clean and dry. In the winter months, this often means that different footwear should be used to get to the gym. We play on a gym surface. Please be sure to have the appropriate shoes. The season begins on Sunday, January 11 and the last day is Sunday, March 15. We will not schedule a game on Feb. 15, which is the first weekend of February vacation. We may use it for a snow day if conditions allow for it. This will be announced later. 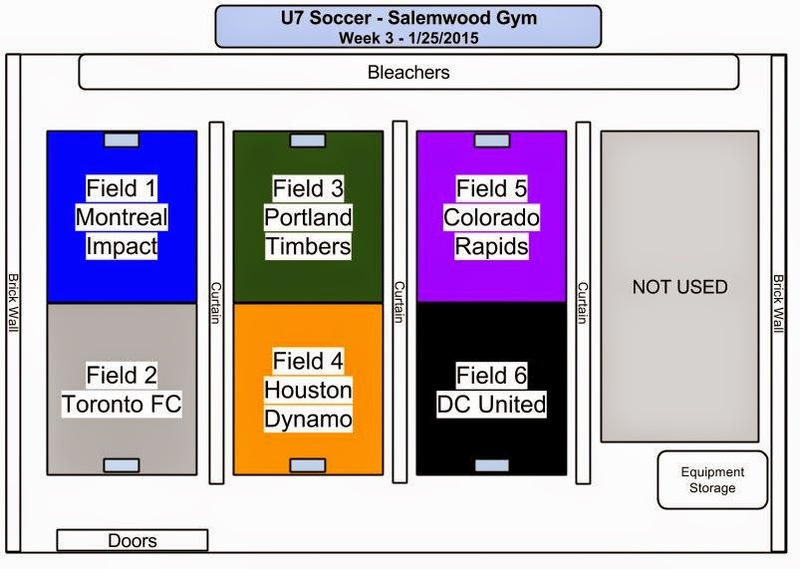 All U7 soccer will be on Sunday mornings, with a single 80 minute session starting at 10:00. The session will be split between drills/skills practice and scrimmage against another team. 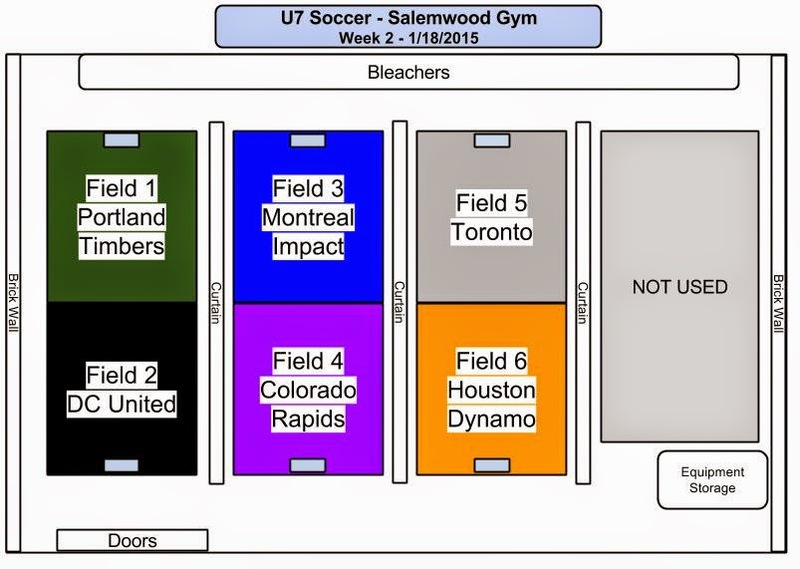 For this indoor session we will play 5v5 or 4v4 depending on attendance. Coaches will decide at game time. All games will be held at the Salemwood School Gym on Salem St in Malden.